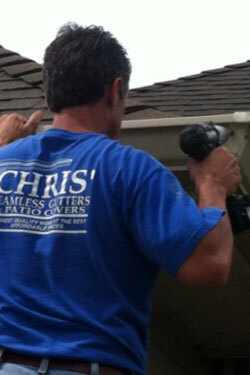 Gutters aren't glamourous, however, they are essential for routing roof runoff away from your home. Gutters will preserve topsoil, protect siding from backsplash stain and rot, and shield windows and doors from water infiltration and damage. If you ever walked out of your home and been drenched at the door, you thought about rain gutters. If you have installed landscaping, only to see it washed away after a heavy rainfall, you thought about rain gutters. After many years in the seamless gutter business, we have heard these reasons time and time again. Improper drainage around your home can be slightly and extremely costly. We serve the areas of Lafayette and surrounding parishes including: St. Martin Parish, Lafayette Parish, St. Landry Parish, Acadia Parish, Iberia Parish, and Vermillion Parish.